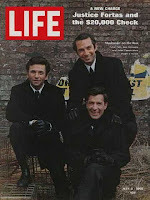 Sadly, the actor Ben Gazzara has died. He was involved in many notable films but was defined by his collaboration with John Cassavetes, for his roles in Husbands (1970); Killing of a Chinese Bookie (1975) and Opening Night (1978). 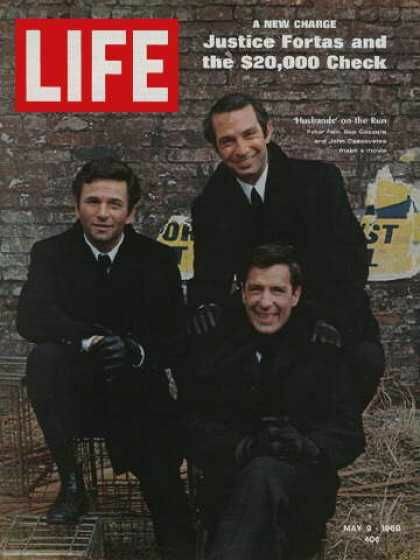 Above is the documentary the BBC made on the filming of Husbands, which starred Cassavetes, Gazzara and another (recently deceased) Cassavetes’ stalwart, Peter Falk. The documentary captures something of Cassavetes’ intensity as an artist and his working methods, though these are wrongly described in the introduction to the programme as relying on improvisation. In fact, rather than improvisation, Cassavetes’ method was to revise and rewrite his scripts during rehearsals in light of things he and his actors discovered about the characters and story. Other directors would approach their films having already decided what lines their actors would speak and made up their minds as to how and where they expected actors to move and behave. But for Cassavetes’, film – all art – was not a technical endeavour; it was a process of exploration, an odyssey, a way of life, so that the film was shaped and emerged only in the making of it. The myth of Cassavetes’ improvisational style – only his first film Shadows was properly improvisational – obscures his brilliance as a writer; his ability to convincingly convey the impression of spontaneous speech and deeply-embedded emotion – the inarticulate outpourings of men and women struggling to fathom their lives or the world. His characters often appear to be improvising, to be making it up as they go along, because Cassavetes wrote it that way and because this is what Cassavetes believed people do in real life, make it up as they go along. A lot of Cassavetes’ genius, as well as the hostility with which mainstream critics and audiences reacted to his films, can be attributed to his determination to show, against Hollywood, that people don’t know what they’re doing, that they can never make sense of themselves no matter how hard they try and that we all make it up as we go along, with all the danger, awkwardness and inevitable failure this implies. In other words, for Cassavetes, echoing another Greek: all that we can know is that we know nothing, and that, not unlike Socrates, Cassavetes pokes and prods – even tortures – his characters, takes them apart (always sympathetically, never cynically) to reveal to them their flaws and weaknesses and make them think again about who they are.